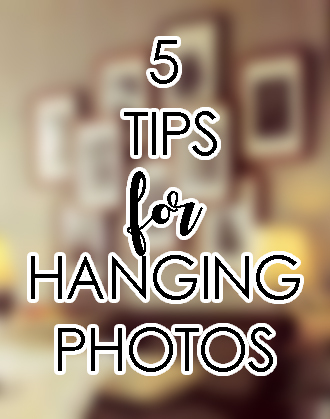 I wanted to make a short blog post on some of my favorite tips and ideas for hanging your photos on the wall! 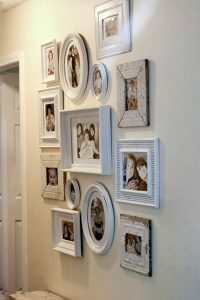 There are so many amazing ways to arrange photos, and whether you follow these rules or not, I hope you end up with an arrangement of artwork that makes you smile every time you see it. 1. 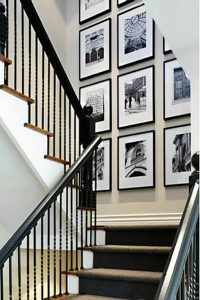 Vary the scale of photos. 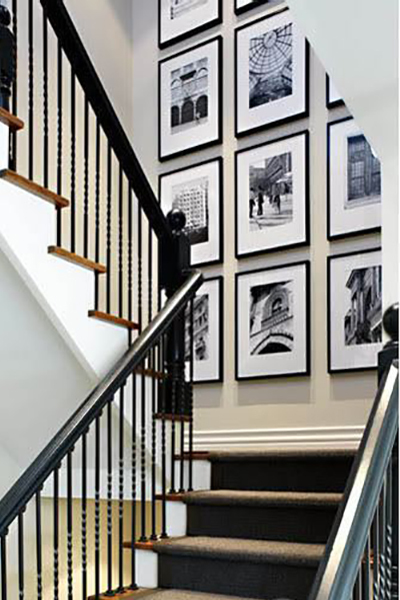 Choose different sizes to keep the gallery or collection looking organic and spontaneous. 2. 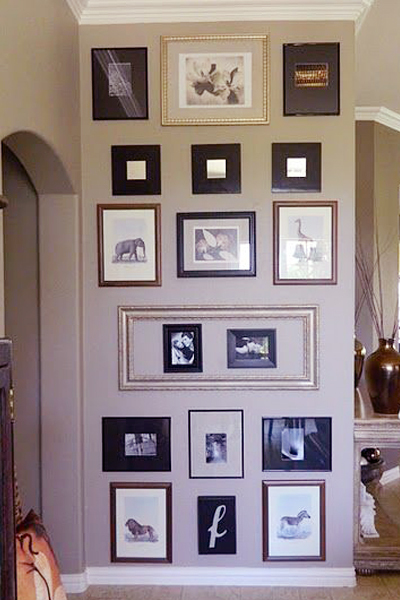 OR do the opposite and create a grid of photos in the same size, giving a more planned, intentional vibe. 3. 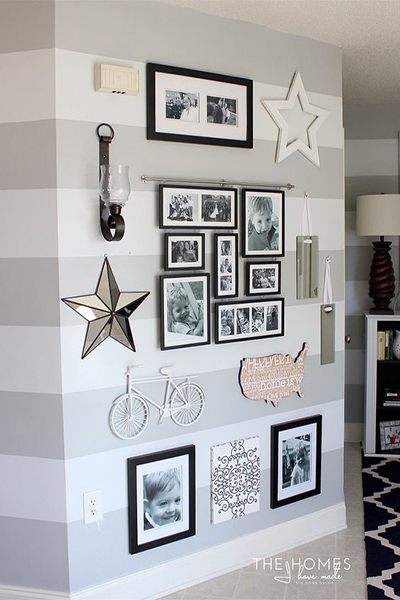 Include other items aside from frames and photos. Sconces, clocks, mirrors, handmade artwork and other found objects work exceptionally well! 4. 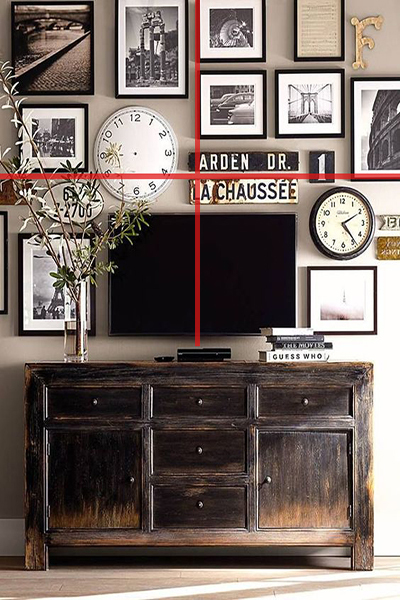 Put an imaginary cross hair (represented in this photo by red lines) through the center of where your collection will be and make sure each quarter of the cross caries a similar visual weight. Balance colored items, light and dark pieces and/or different shapes so that no quarter looks heavier than the others. 5. 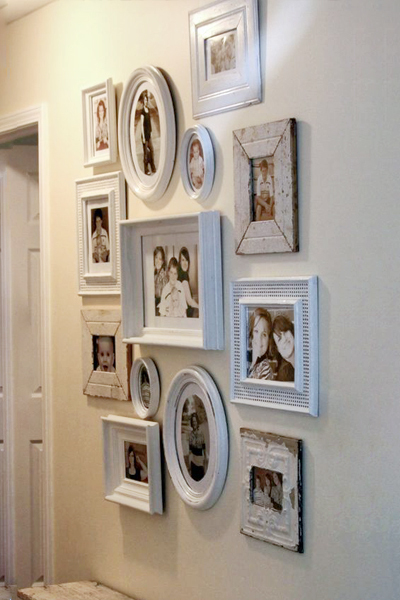 Try collecting an assortment of random frames and spray paint them the same color. 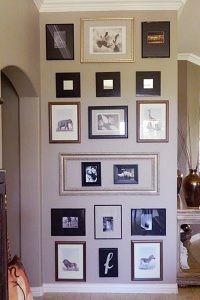 It will tie the frames all together in a very cohesive, eclectic way. Now it’s your turn! Comment below with photos of your arrangements and/or your favorite ideas on how to arrange your art! AND here’s a bonus tip! 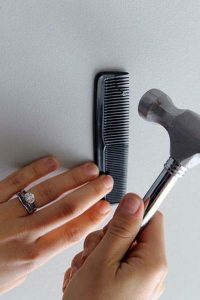 Once you have plotted your arrangement, use a comb to hold your nail before hammering it into the wall to avoid smashing a finger! *None of the above photos belong to me, nor do I hold copyrights to the images. Hi. Great posting! While I do not have many items/pictures to frame, arrange, or display (showcase), I enjoyed the tips! I will have to keep them in mind as I try to furnish my new office over the coming weeks. P.S. The extra tip about utilizing a comb is fantastic, and should surely help avoid hurt fingers.